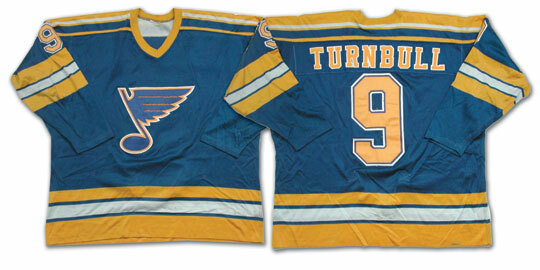 The St. Louis Blues have a rich draft history that dates back to their first true NHL draft in 1968. Since then a lot has changed with the team, the league, and the sport in general, but the possibilities at the draft remain the same. It’s that magical time of year when all the road warrior, number crunching scouts come together, and teams select their futures from Junior leagues around the world. The Blues have made some impressive selections over the years; picks that are worth another look. Here are the top 5 best NHL drafts the Blues have ever put together, and as a fair warning, they may not include some players you may think. This draft was chock full of all-star caliber players across the board, and it’s no wonder it made the top 5 list. Players like Eric Staal, Marc-Andre Fluery, and Thomas Vanek all came out of this draft so it comes as no surprise that the Blues were able to gain extremely talented, role playing professionals who have become leaders on the ice at this draft. 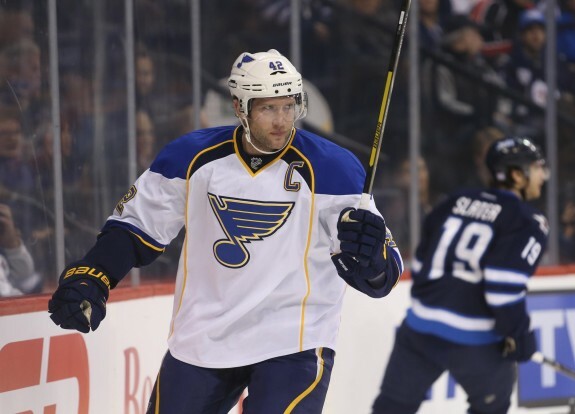 Leading the way is current Blues captain David Backes, who has become the epitome of a great leader on and off the ice, and who has shown his unwavering determination and grit game after game battling through adversity at every turn, yet staying refined (at most times) to lead his team effectively. His second round (62nd overall) selection solidified the current team’s defensive depth at center, and has helped develop others into top notch talent that has given the Blues their success over recent years. Other draft notables include Lee Stempniak (selected in the 5th rd. 148th overall) who helped carry the Blues through their transitioning years, and who has found a home as a quality second line scorer on many NHL clubs, most recently the Pittsburgh Penguins, where he played alongside Sidney Crosby, and Chris Kunitz at times to try and aid their Stanley Cup run. He’s a .5 point-a-game player, and an excellent depth guy that doesn’t mind getting his hands dirty to help the team. Included in the same draft were also highly notable prospects Konstantin Barulin (3rd rd. 84th overall), and Alexandre Bolduc (4th rd. 127th overall) who both have been making waves in their respective leagues over the past several seasons. Barulin is an eccentric All-Star goalie playing in the KHL (for the Kazan Ak-Bars team) and has boasted at least a .920 save percnetage over the past 5 seasons, wow! Bolduc is still developing, but has shown flashes of brilliance that make you think he’ll be a great role player, and find a permanent NHL home in the near future. The 2005 NHL draft barely outdoes the 2003 one based on overall talent (Sidney Crosby, Bobby Ryan, Anze Kopitar, etc…), and only due to stories and game play over the past couple of seasons does it rank ahead of the 2003 draft by the Blues. The most notable St. Louis Blues draft picks of this year were TJ Oshie, Ben Bishop, and Ryan Reaves. While the team selected 4 other picks in ’05, these three are the clear front runners. TJ Oshie is obviously the biggest factor, but all three have shown they can truly play their roles like none other in this league. TJ Oshie (1st rd. 24th overall) is most well known for his shootout heroics at the 2014 Sochi Olympic Games, where he went 4-6 against reigning Vezina Trophy winner Sergei Bobrovsky to push the USA past host nation Russia in the preliminary round robin tournament. However, true Blues fans know the light-hearted winger as a gifted play-maker who has a flair for the dramatic, and who scores some of the most creative goals anyone will ever see (just check out the shootout highlights below). Big Ben Bishop (3rd rd. 85th overall) has finally found a long-term home in Tampa, and is showing he does indeed have what it takes to be a true #1 in the NHL. His stellar play throughout most of this season backstopped Tampa into a 2nd overall seed in the Eastern Conference, though his untimely injury may have been the team’s back-breaker this year. He was traded from the Blues organization due to the great Elliott/Halak combo and his (Bishop’s) UFA status in 2012. We all know who Ryan Reaves (5th rd. 156th overall) is, and what he brings to the table: grit, determination, and brute force. He’s been known for intermittent goal scoring, but his focus is the physical game, and he’s really good at that which is why he pushed this draft to #4. This spot could’ve been used for the 2011 class as it was, or for the 2008 class that saw Pietrangelo, Allen, and Lehtera call the Blues organization their new home. However, the Notes 2011 NHL draftees are developing nicely and seem to be headed for greatness which pushes them ahead of the ’08’s. This ranking may not make sense to some, but give it a few more seasons and then check it again. Soon enough names like Ty Rattie, Dmitri Jaskin, and Jordan Binnington will be among the most talked about in the league, whether it’s for the Blues or not. These talented prospects have shown their commitment to the game and to the entire Blues organization at this point, and are truly the next generation of Blues stars. Rattie (2nd rd. 32nd overall) will be similar to a Marian Hossa (at best) or a Mike Cammalleri, which is enough to get any fan excited. Jaskin (2nd rd. 41st overall) will be another Backes, but hopefully with a slightly better scoring touch, and Binnington (3rd rd. 88th overall), who may be used at trade bait in a couple of years, is sure to be a stalwart backstop that gives the team a consistent chance to win games every single night. 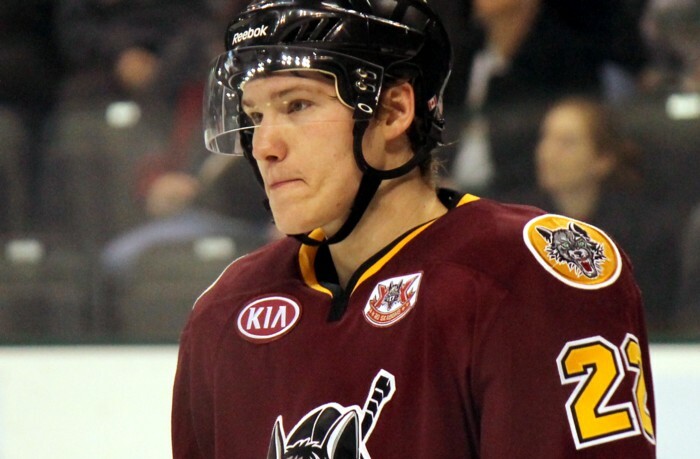 Add in other top prospects like Joel Edmunston (defense, 2nd rd. 46th overall) and Niklas Lundstrom (goalie, 5th rd. 132nd overall) and that’s what puts this draft up so high in the rankings. The potential of all of these picks may not work out, at least not for the Blues (if they were to trade some away for various reasons), but you can bet all of them will have prosperous careers in the NHL. Not much needs to be said about this draft class, because 3 of the 16 picks the Blues made in 1976 are still considered to be some of the greatest that ever played the game at their respective positions. Mike Liut (4th rd. 56th overall) is probably the least well known of the three, but he was a pivotal part of the team through the late 70’s and early 80’s. He was able to provide solid goaltending for the Blues, and led them to the playoffs almost every single year he was here. From there, two Notes greats Bernie Federko (1st rd. 7th overall) and Brian Sutter (2nd rd. 20th overall) ushered in a whole new era for the team. They were able to electrify crowds with their creative plays and knack for timely goal scoring, and both have since had their numbers retired by the club. As if that wasn’t enough accolades for this pair of Blues greats, they are also both inductees in the Hockey Hall of Fame. This is what makes them the second best Blues NHL draft picks in the team’s history. Now this may seem odd to some, but as stated about the 2011 draft class, these guys can play and are sure to be the team’s future core. Though they will still need to develop, and continue to improve themselves year after year, the 2010 St. Louis Blues draft class could be the best ever. Current Notes stars Jaden Schwartz (1st rd. 14th overall) and Vladimir Tarasenko (1st rd. 16th overall) are still showing they have more in the tank, and they’ve already been a huge piece of the Blues success over the past 2 seasons. Though Schwartz is an RFA this summer, expect the Blues to lock him up long term so that his chemistry with Tarasenko can fully blossom. Both of these players will be household names across the league in just a few years’ time, and could be the key pieces to finally bring the Stanley Cup to St. Louis. When you look at this draft class as a whole, you see other Blues prospects nearing NHL readiness, which should solidify the team for years to come. This is why they will be the greatest draft class the Blues have ever made. Colton Gillies hammers Jani Hakanpaa with a huge hit on the end wall. Hakanpaa confronted Gillies and then Tyler Shattock stepped in. Fight. Jani Hakanpaa (4th rd. 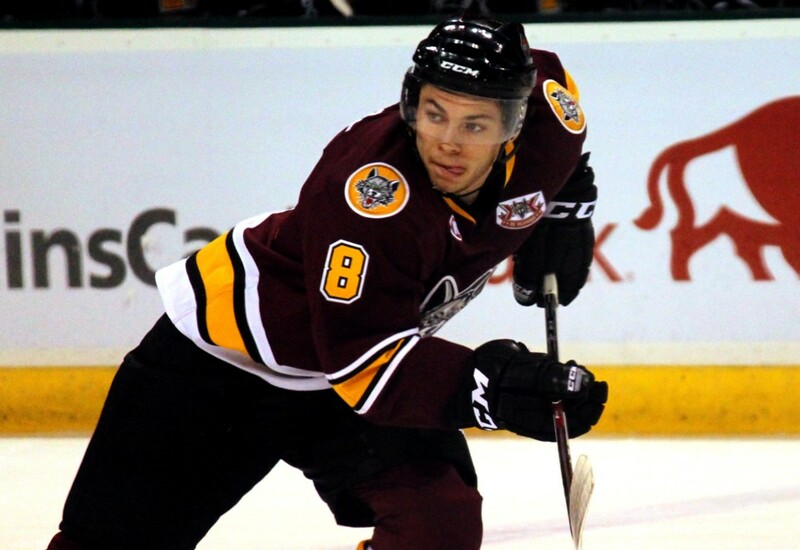 104th overall) has proven to be a solid back end addition for the Chicago Wolves (the Blues’ AHL affiliate), posting a plus-20 this season. He will be a great addition to the blue line as early as next year, and should be a true difference maker within a few. Lastly, Max Gardiner has shown he can play well when he wants to and could be another Chris Stewart, but also has the potential to become a Daniel Sedin type of player. If he can refocus and gain strength when he turns pro (he currently plays at Pennsylvania State), he’ll be a brute force that will dominate the Blues style of hockey. If history tells us anything it’s that you can’t always count on your top NHL draft picks to become your next superstars, but if you thoroughly scout, you can find those diamonds in the rough. The Blues have historically traded away high draft picks before truly giving them the chance to pay off, but with Pietrangelo, Schwartz (pending his new contract signing), and Tarasenko the organization seems to be shifting gears to keep those they’ve invested in, and let them shine in a blue note sweater. If the team can keep this trend going, they are looking at a long prosperous future as one of the NHL’s top teams not only in the Western Conference, but across the whole league for decades to come.